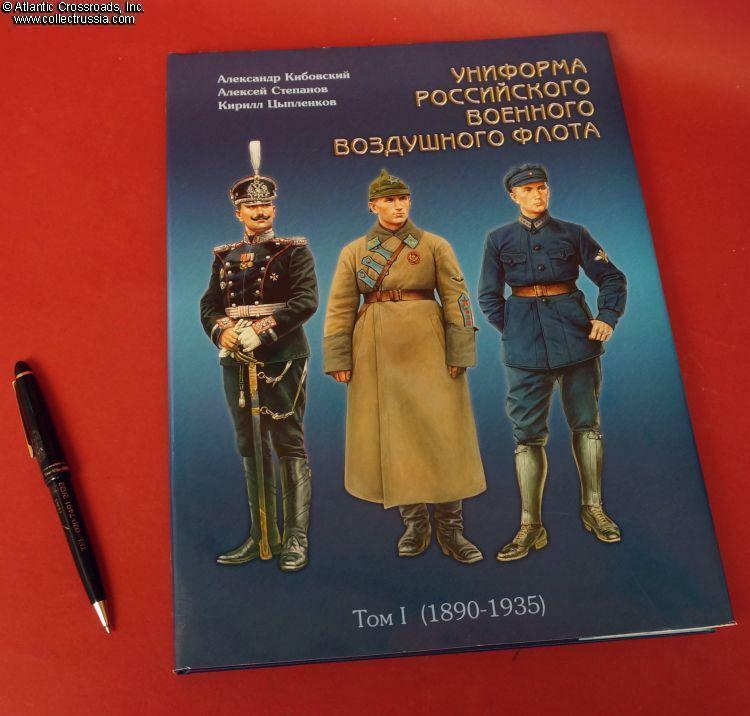 "Uniforms of the Russian Air Force, Volume 1 (1890 - 1935)". 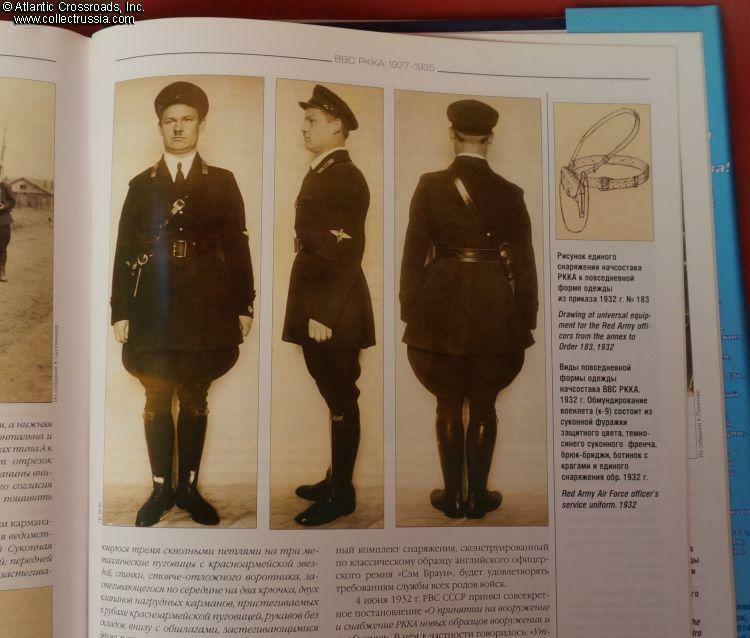 "Uniforms of the Russian Air Force, Volume 1 (1890 - 1935)". A. Kibovsky, A. Stepanov, K. Tsyplenkov. C. 2004, Moscow. 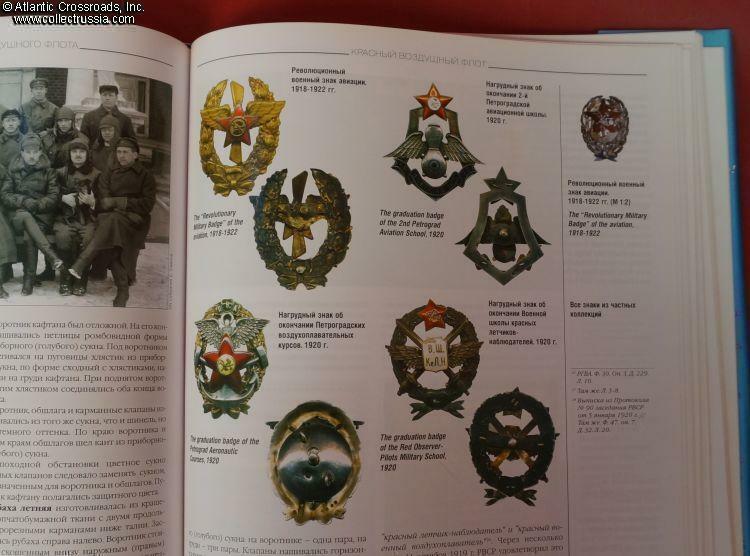 Russian text with English captions explaining illustrations and photos. 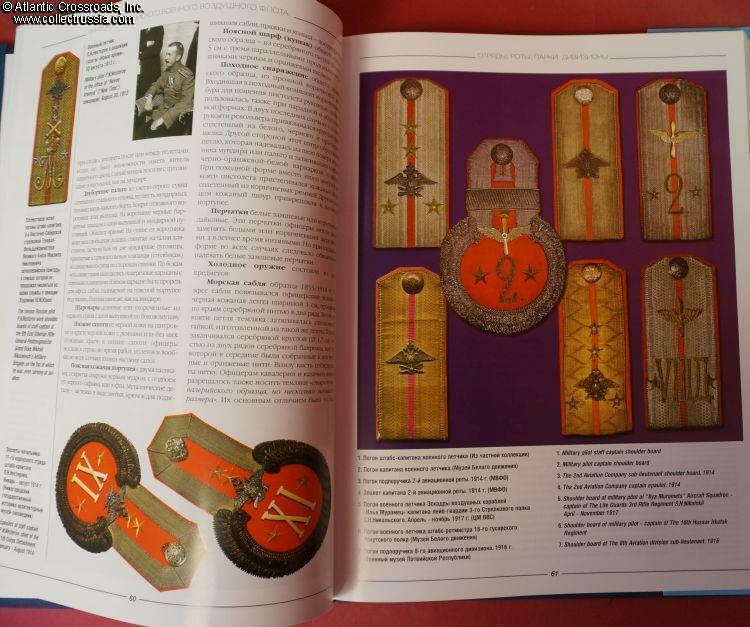 Hard cover with dust jacket, 277 pp. Large format: 12.5 " by 9.5 ". 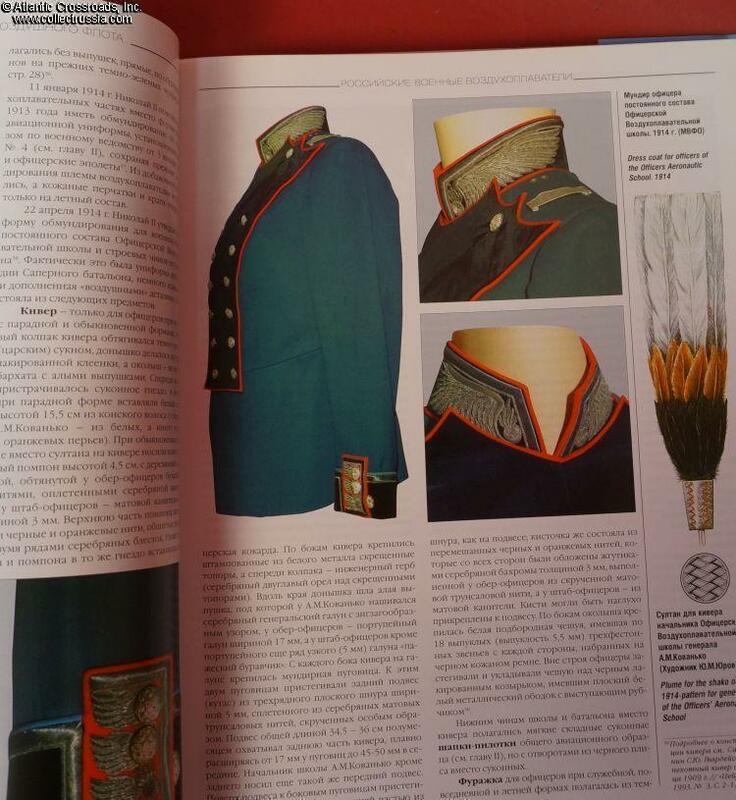 This book is an extraordinary resource for the Russian uniform collector or the aviation historian. 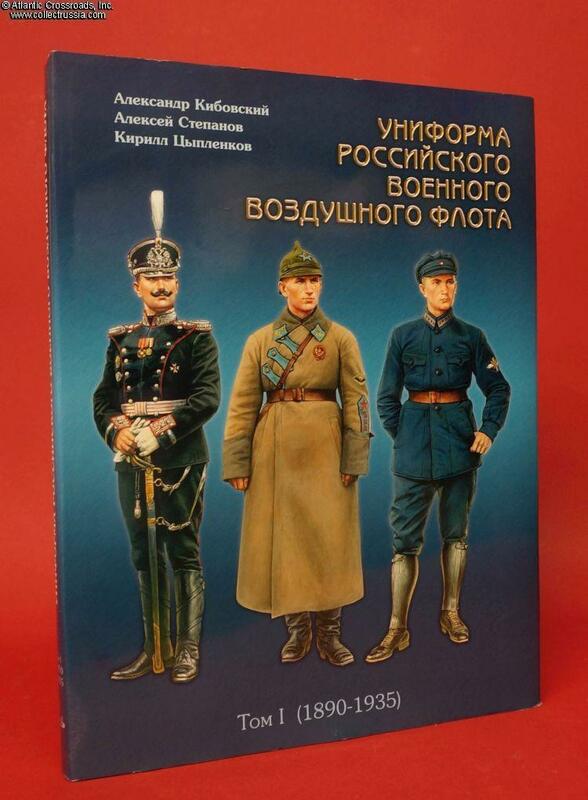 Volume One covers the Imperial Air Service, Air Force of the Provisional Government in 1917, Air Forces of the White Armies in Russian Civil War, and the Red Air Force through 1935. 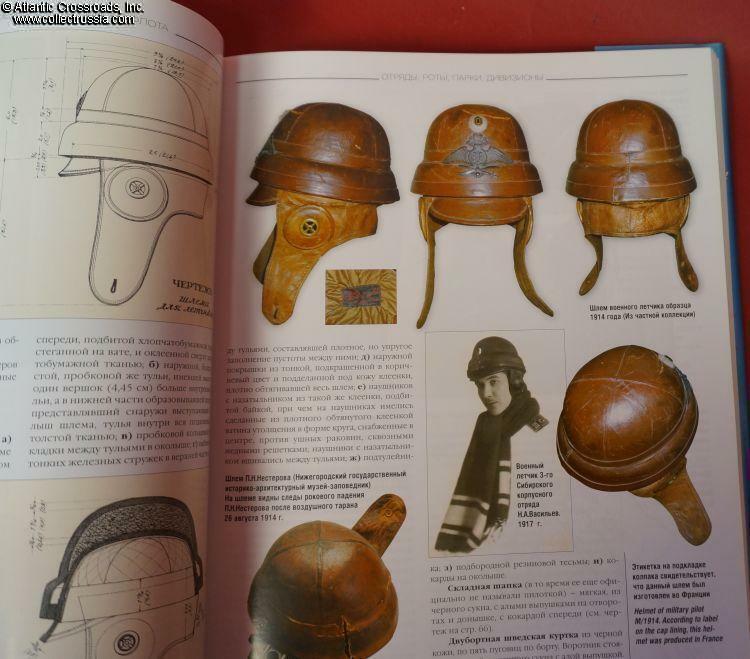 The scope is very wide, from field gear to helmets, from insignia to badges of distinction. 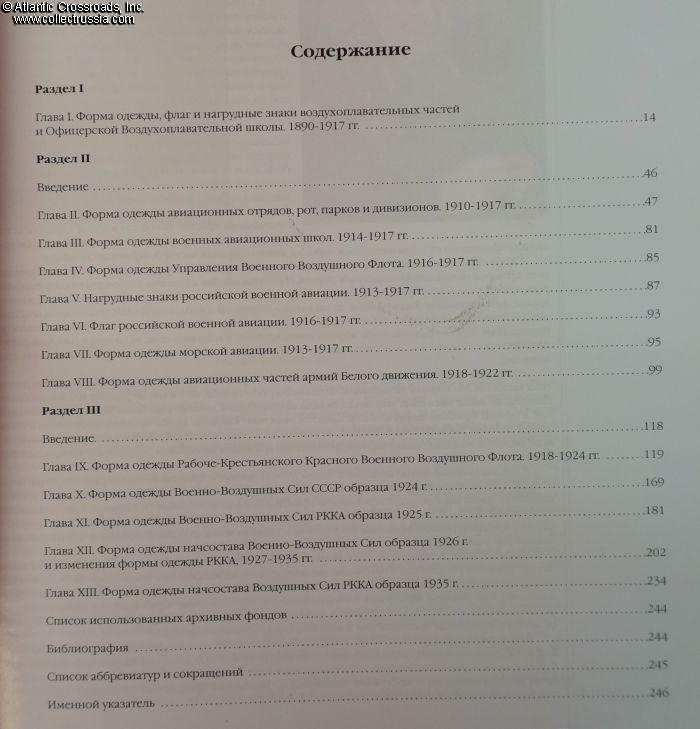 Of special interest are extensive quotes of official regulation manuals, as well as illustrations from the original uniform regulations. 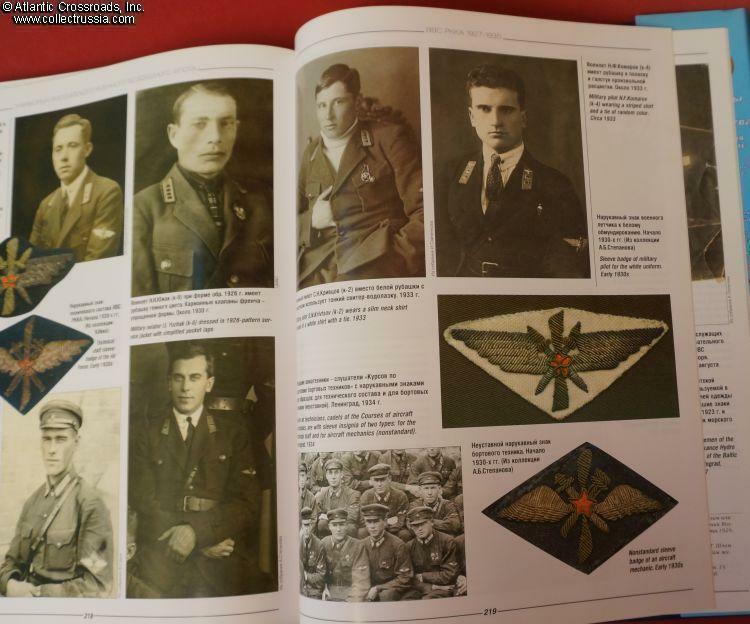 Close-up photos of badges and wings are in many cases accompanied by contemporary photos of airmen wearing the same. 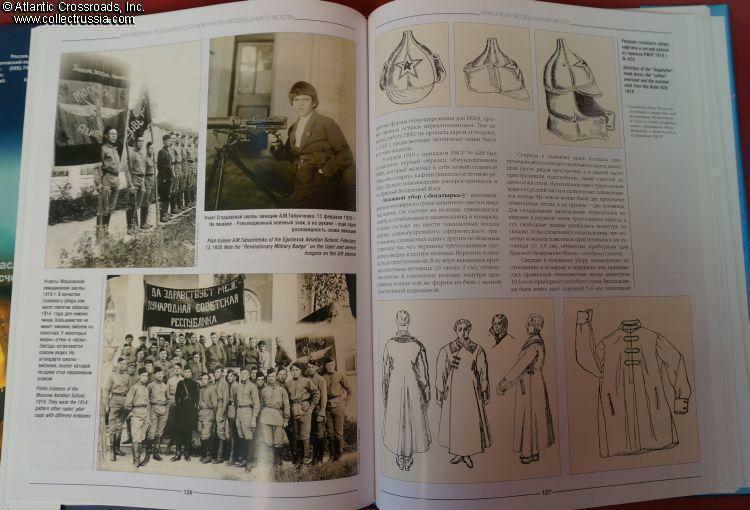 Much of factual information and photos shown in this book cannot be found in any other reference. Highly recommended!